AAMCO South Tampa, FL's comprehensive Multi-Point Check service will diagnose existing issues within the major systems in your vehicle. At AAMCO South Tampa, FL, our Multi-Point Check will thoroughly diagnose all major systems in your vehicle and let you know if there are any problems requiring maintenance. 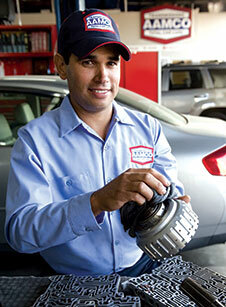 It is the best way to get peace of mind for any safety issues your vehicle may be experiencing. 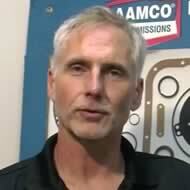 You can feel confident knowing your car or truck is in good hands with AAMCO South Tampa, FL's expert technicians. Why should you get a Multi-Point Check? We perform our exclusive Transmission Multi-Point Check service on every car before we do any repair so we can properly diagnose the problem you are having. At AAMCO South Tampa, FL, we review your vehicle externally by placing it on a lift to assess the controls under the vehicle for any problems. We also check your vehicle internally with our advanced diagnostics equipment in order to analyze your vehicle’s computer system’s electronic components. We also evaluate your car’s performance with a road test to experience any problems you may be having first-hand.